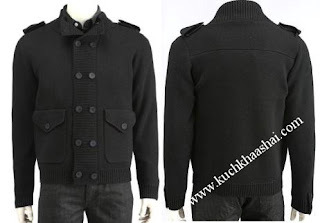 The men's fashion trends 2011 is all about being casual and comfortable. The American debonair is back and this time with a classy dissonant combination of the 21st century high fashion. This year you get to define your own fashion apparel, in a way that you extract the most out of experimentation. The spring 2011 men's fashion show was all about the urban gentleman, a man who wears sublimity in a characteristically uncanny way, so that he defines what he wears and not the other way around. Here are some of the 2011 fashion trends brought in by some of the best designers of men's wear. Their collection of men's fashion trends 2011 yet again manged to be a big hit. The collection is called Ode to Suburbia which was a tribute to the men's fashion from the 50's American suburbia and their casual lifestyle. It will take you back to time when the polo necks, the gingham, the vintage safari and the beach vacation prints were high fashion. Now think of all that, mixed with todays flavor. A palette of somber light shades dominated the moss green ramp. Placid shades of green, khaki brown, blue, gray and maroon gave the modern man a sense of sophistication unlike any other. So this year it's time to wear safari pants and shorts with light colored shoes. They also brought back the checkered shirt patterns of red and white, black and white and combined it with the beige lowers. Light green, blue and yellow T-shirts or shawl sweaters worn with checked shirts, looked fantastic and so did the dark brown cardigans and leather jackets. Ragged and faded jeans made a classy reentry as well, combined with the suave charms of a man who knows himself well. D&G has given today's man an opportunity to be free and comfortable in his own skin. Learn more about the 1950's fashion for men here at Buzzle. Missoni's trends have always been a personal favorite of mine. Their men's fashion trends 2011 is all about geometrical prints that added so much more zinc to the pants. The pants are slim fits and have a combination of colors from similar pallets of orange, maroon and blue. Mufflers and hats only added excellent contrast to the flashy lowers. This year they have stressed more a lot on men's coats and it was the single most essential part of their collection. Long trench coats that reminded of 1940's, as well as exceptionally well tailored coats with bold golden buttons. Graphite gray and deep maroon coats looked the classiest. Missoni's fashion trends for 2011 also flashed some peppy shades such as olive green and mustard brown for the coats. As for the pants metallic shades of black, gray and blue looked svelte combined with pointed leather shoes as well as boots. Trussardi's men's fashion 2011, takes you back to the time when retro fashion was a way of life. Their collection can be worn by any man who dares to try. The predominant colors are white, black, gray, brown and red. The skinny black pants are a must have, they can be worn with almost anything. Casual well fitted, stripped white and black round necked long sleeved pullovers, plain black shirts and a casual gray T-shirt with rolled up sleeves were the styles that stood out the most. Their simplicity added with some pure personality got the good word going for them. The leather jacket that we all miss so much is back with a bang, now you can flaunt it, like the real roadies do. Have no qualms about it. Wear well fitted leather jacket with stripped buttoned up shirts or a plain T-shirt and your all set to roll. Accessorize with the classy dark Ray-bans and do not forget the evergreen Italian leather shoes. Also remember the belts need to stand out, so if your wearing black all over, try white belts so on and so forth. Trussardi's latest men's fashion trends 2011, got in the hand bag in a big way this year, so that is totally up to your discretion if you want to give it a try. Some of the styles that really looked good were, the blue shirts with crunched up sleeves worn over dark gray and black stripped T-shirts along with brown pants. As well as the soft yellow T-shirts worn with a wrapped muffler or coat. Here are some useful fashion advice for men and will definitely help. So these were a few ideas from the men's fashion trends 2011. There are absolutely no restrictions on experimenting with these with your own sense of fashion. Also do not forget to get the right kind of men's hairstyles that are popular in this spring fashion. You can even give add your own dynamic appeal with certain personal preferences added or subtracted from the apparel and the accessories.